Knee replacement is a major operation and requires a hospital stay. During the procedure, the surgeon removes damaged sections of your shin bone and thigh bone. He or she carefully cuts the bone to precisely fit the shape of the replacement implants, then attaches the artificial joint at the knee. Knee replacement also requires a rigorous program of physical therapy and rehabilitation after surgery. It’s just plain hard work. You need to be ready for that, as well. There are several benefits to simultaneous replacement. These include going under anesthesia only once and a shorter total hospitalization. You’ll also have only one — albeit, prolonged — rehabilitation. This will allow you to resume normal activities sooner than two separate surgeries. 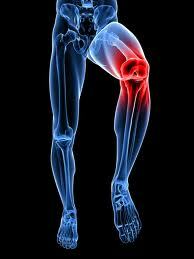 Replacing both knees at once is also a good option if both of your knee joints are in poor condition. That’s because during recovery from the replacement of one knee, you need the other knee to work harder. If the other knee hurts when you place weight on it, this will make it difficult for you during physical therapy and would also slow your recovery. To do well in rehabilitation after simultaneous surgery, however, you need enough arm strength to cope while you can’t stand on either leg. Simultaneous replacement slightly increases the risk of blood clots or heart attack. However, such complications are rare. Still, simultaneous replacement is not for everyone. It is not recommended for patients with heart or lung disease or people over 80. If you have significant medical risks, you are probably better off having two separate operations. There are also benefits to separate operations months apart. These include a reduced risk of post-surgical infection and less chance of needing a second surgery to fix problems. So having both knees replaced simultaneously surely is a reasonable option for many people. You and your doctor need to consider all of the issues mentioned above. Whether you have your knees replaced together or separately, you’ll need to actively participate in a rehabilitation program. This will be a major factor in the success of your implant. What is Liver Cancer? What are the Liver Cancer Treatment Options in India?